Marvel Comics for its entire history has created hundreds and thousands of different heroes and villains. 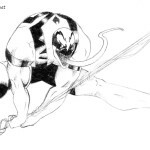 Among them there are such mega-known as Spider-Man and Wolverine, and less well-known, such as Mimic. 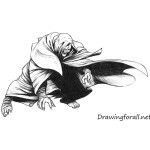 And today we want to show how to draw Mimic from Marvel. When we draw a human, we begin with his skeleton. Here we see the classic skeleton of a man. First of all, we sketch the head in the form of a circle and the spine in the form of a simple line. Next, the thorax and pelvis, located on the line of the spine. 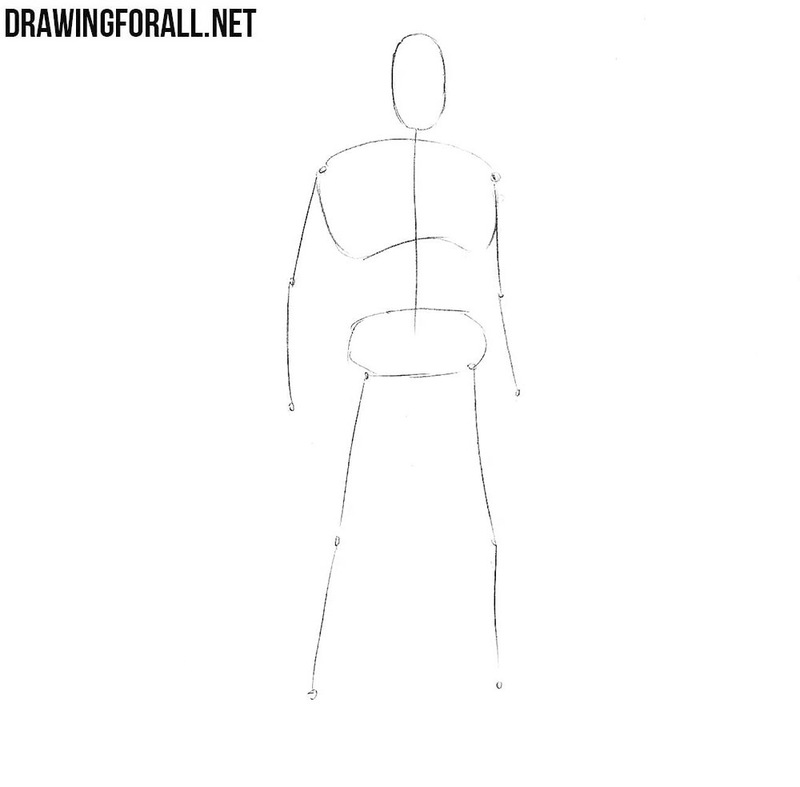 And at the end of the step, we sketch the arms and legs. Now we draw intersecting lines on the head, with the help of which the details of the face will be drawn. Next, add the volume to the body of Mimic with simple geometric shapes. First draw the neck and torso that goes into the pelvis. Next, arms and legs in the form of simple geometric shapes. At the end of the step, we draw wings behind our hero’s back. Carefully draw out angular glasses and at the top of the head. Next draw the nose and mouth. At the end of the step, draw out the outlines of the face and remove all unnecessary guidelines from the head of our character. Now let’s move on to adding details to the body of our character. Carefully draw out the outlines of the neck, pectoral muscles and the outlines of the torso. Next, delete all unnecessary lines from the torso and draw out the details of the costume. With the help of clear and dark lines draw out the outlines of large arms. We draw out the outlines of deltoids, biceps, triceps and forearm muscles. Next draw large palms, details of the costume and remove all unnecessary lines from the upper body. Now let’s do a similar operation, but with the lower part of the body of Mimic. 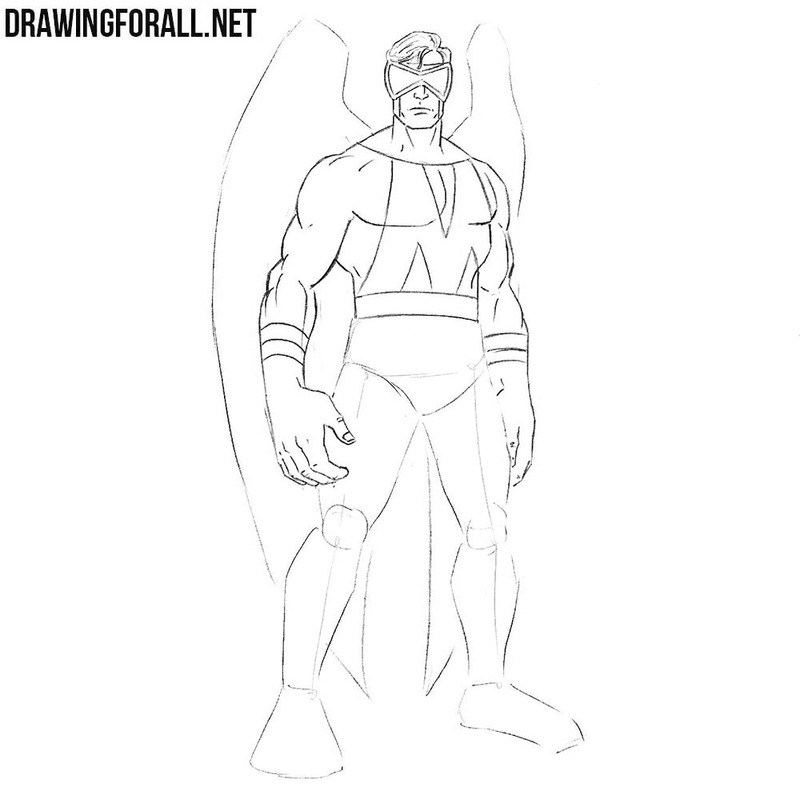 With the help of clear and dark lines, carefully draw out the outlines of the legs and muscles on the legs. 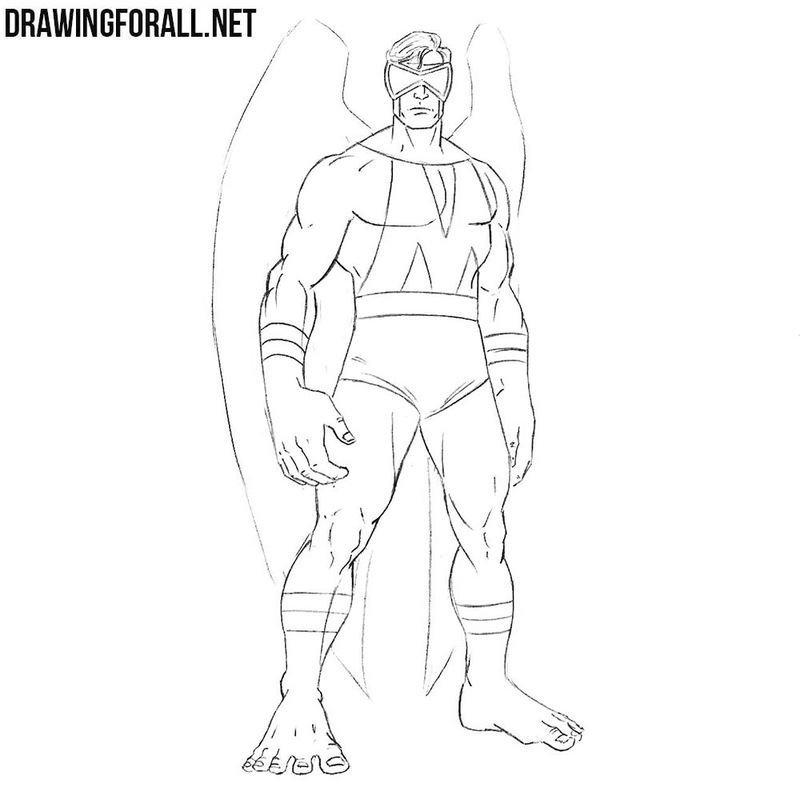 Remove all unnecessary guidelines from the legs and draw out the outline of the costume on the legs. 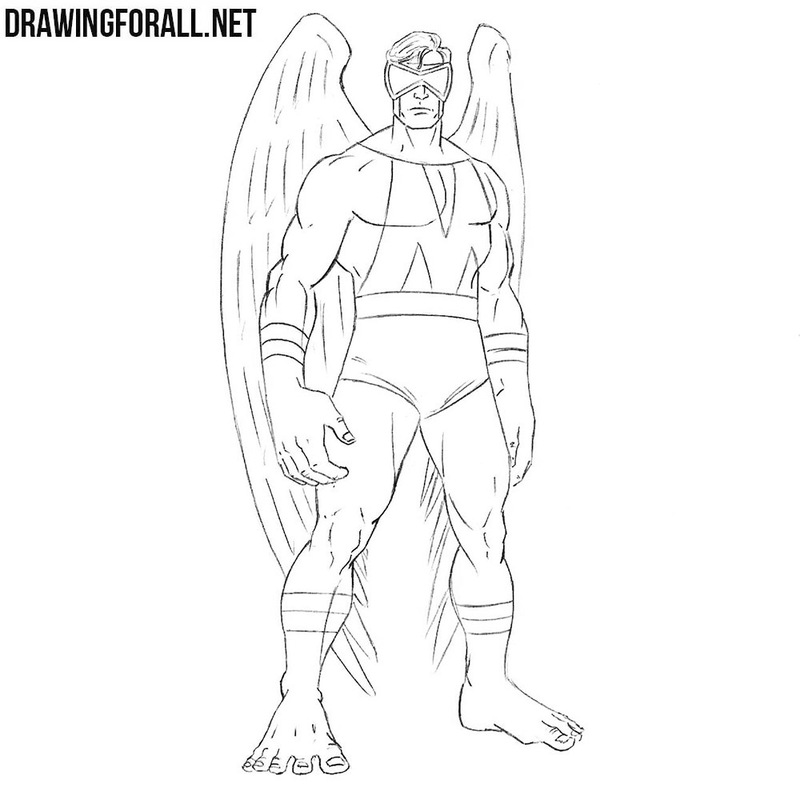 Now draw out the outlines of the long wings behind our superhero. 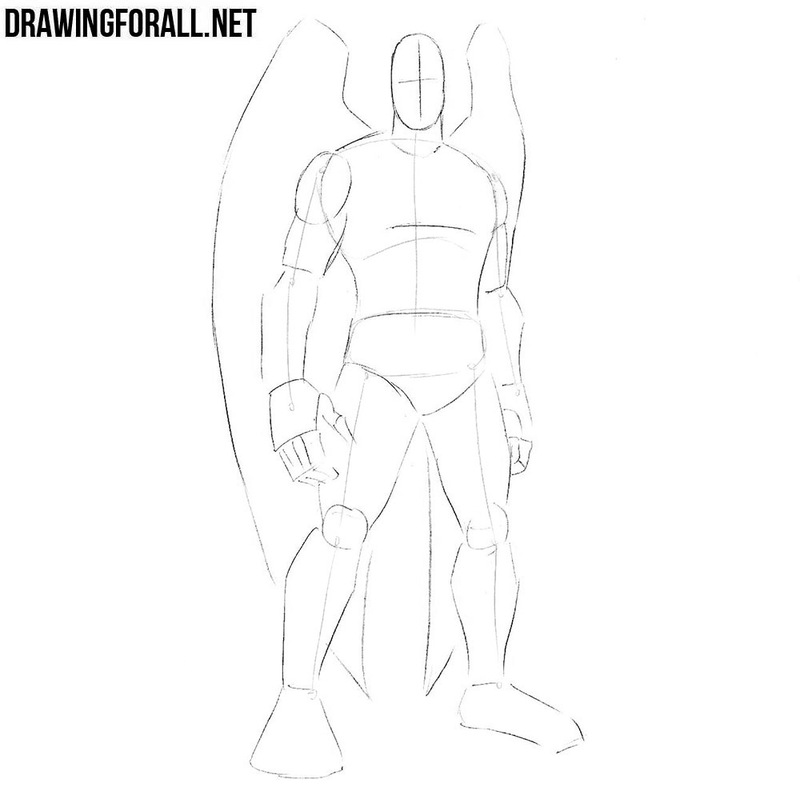 Now draw the outlines of the wings as shown in our example. Now let’s move to the last step of the lesson about how to draw Mimic from Marvel. In this step (according to tradition) we will draw shadows. Draw the outlines of the shadows and then paint them in solid black. In order to make transitions between shadow and light, use a simple dense hatching. 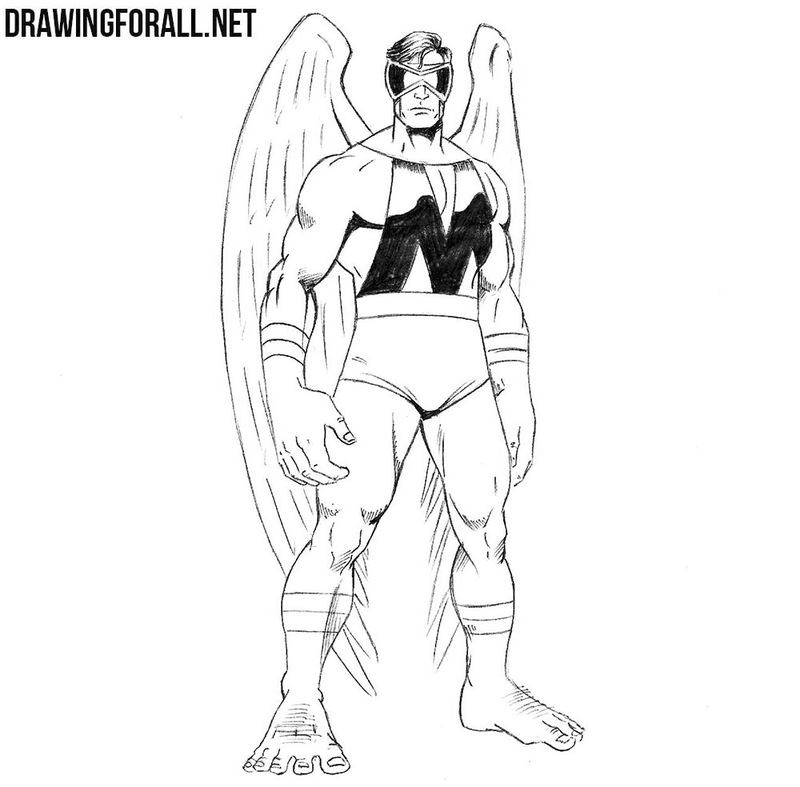 Mimic is not a very popular character (at least compared to such characters as Cyclops or Hulk), but many of our readers often asked us to show how to draw him. 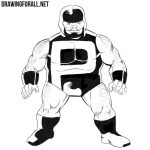 If you want to see any new characters on the pages of our site, then write us about it in the comments to this article or in our pages in social networks.